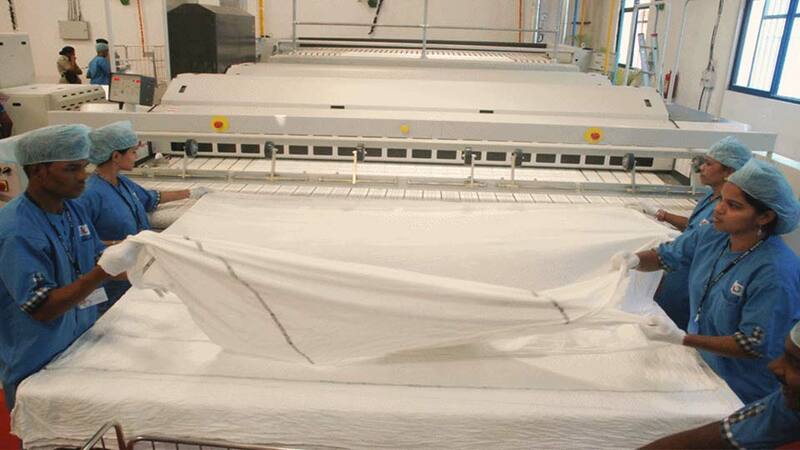 With us institutional cleaning service comes to India equipped with state-of-the-art imported machinery that helps Indian laundry sector fast achieve new milestones of superlative services. We consider this to be a critical element in the operation of laundry as conventional laundries are not only costing a fortune but in the ultimate give unsatisfactory results. With employees trained in the operational aspects of the modern energy efficient laundry systems, the jobs are assured to be managed by the most skilful and efficient people maintaining a high degree of whiteness.